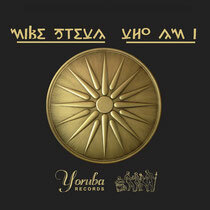 Melbourne house producer Mike Steva releases his debut studio album ‘Who Am I’ on Osunlade’s Yoruba Records label next month. Born in Australia to parents who migrated from Europe in the 1960s, Steva’s origins are deeply rooted in his ancestral homeland of Macedonia. Having always felt a deep and spiritual connection to his heritage, his music embodies this vibration with a strong association to drums, world music and ancient rhythms. The album delivers 11 cuts across a wide spectrum of electronic music, evidencing Steva’s range of influences. ‘Weekend Love’ is lovely, with the voices of Melbourne’s own Motty & Siobhan providing the vocal duet to bring the record together. The deeply tribal ‘Oro’ takes you on a spiritual journey to a remote village where Baltic brass, handclaps and foot stompin’ are essential. An impressive debut for Mike, it’s out September, check the sampler below.